All News And Updates About Dera Sacha Sauda On SIngle Webpage. All DSS Links At Single Place. Dera Sacha Sauda is a Social Welfare and Spiritual Organization that preaches and practices humanitarianism and selfless services to others. The main center of the ashram is located in Sirsa (northern India). More than 55 million people around the world are attached to this organization which makes it the largest spiritual organization. His Holiness Beparawah Mastana Ji Maharaj founded Dera Sacha Sauda on April 29th, 1948 to encourage spiritual awakening among the masses, to uplift humanity, and to create a better world. He hailed from Baluchistan, part of present-day Pakistan. With devotion and hard work, Maharaj Ji transmuted the barren land of Sirsa into a spiritual garden and imparted the glorious method of meditation to his followers. The slogan “Dhan Dhan Satguru Tera Hi Asra,” which Dera’s devotees chant at the Ashram, elucidates the kindness of God Almighty as our savior. His excellency Guruji preached about following the path of truth, humanity, and hard work. In 1960, he handed over the reins of Dera to HIS spiritual successor, Param Pita Shah Satnam Singh Ji Maharaj. Mastana Ji Maharaj merged with the divine light on April 18th, 1960. Shah Satnam Ji passed the apostleship of Dera Sacha Sauda to revered Saint Dr. Gurmeet Ram Rahim Singh Ji Insan on September 23rd, 1990. Shah Satnam Singh Ji Maharaj shed his human attire and proceeded back to “Nij-Dham” (eternal abode) on December 13th 1991. 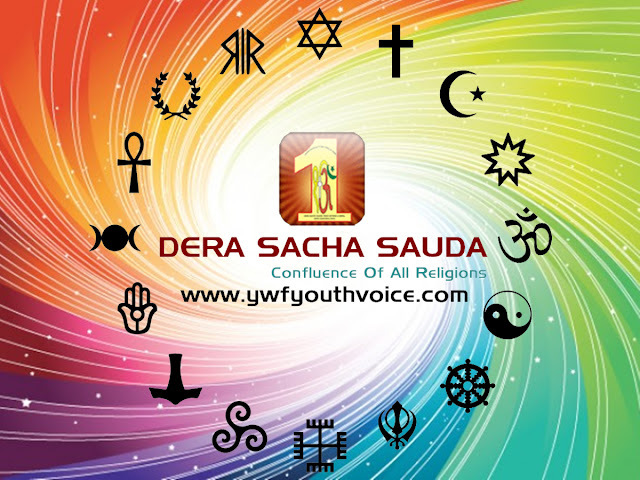 To know more about Dera Sacha Sauda, you can read articles given below. Bow Down Evils The Warrior Cometh! Parabens & Sulphates In Your Shampoo Can Kill You! Wake-Up Call: War On Water Ahead?